WP Fusion integrates with wpForo to protect access to forums on your site by a logged in user’s CRM tags. To set up forum restriction, navigate to Forums » WP Fusion in the WordPress admin. For each of your forums and categories, you can specify tags that are required to view that forum. 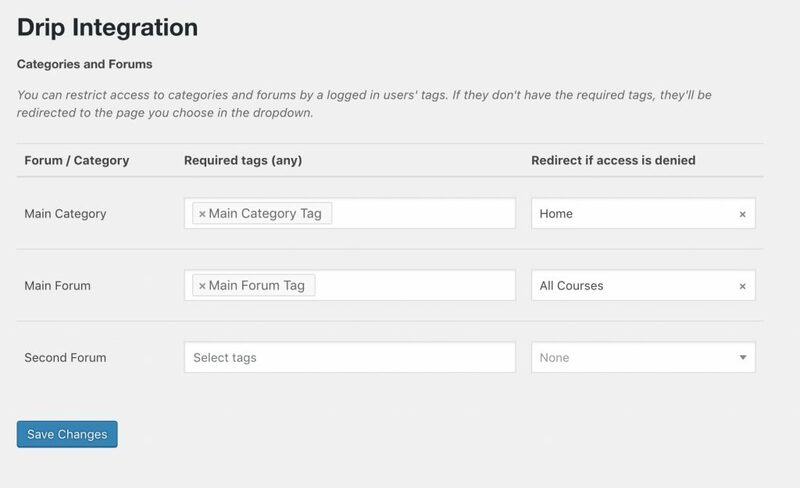 If the user does not have any of the specified tags they will be redirected to a the page you select in the dropdown.